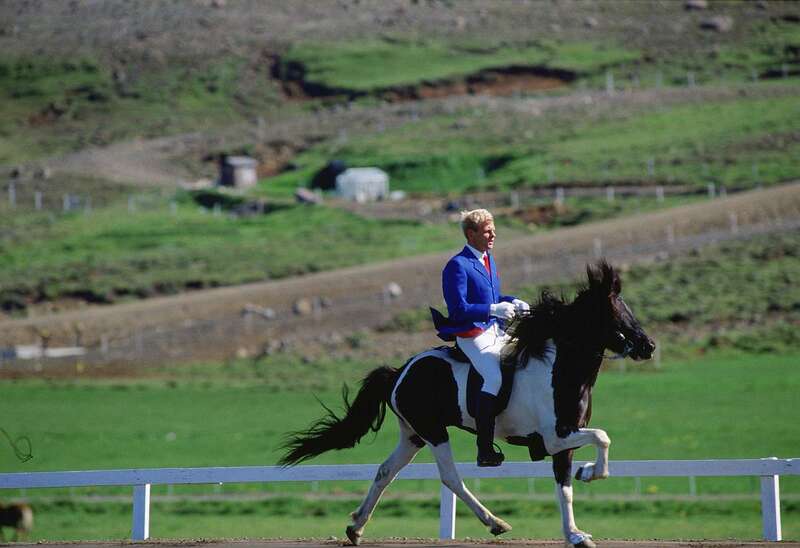 A horse that performs a footfall pattern outside the normal walk, trot/jog, canter/lope sequence is said to be gaited. A horse that single foots, ambles, paces, tolts, or does a running walk or rack is "gaiting"
There are over 30 different horse breeds that have gaits beyond the basic walk, trot, and canter that we normally see. Gaited breeds are seen as somewhat unusual today, although at one time they may have actually been the norm. There’s been a renewed interest in gaited breeds lately; some people with back problems find them easier to ride, finding smooth movement helps their back problems while others find their showiness attractive. Most gaited horses are born with the ability to travel with a four-beat gait in addition to the basic three. It is an inherited trait. Some horses may be trained to gait, although they prefer to travel more naturally at a walk, trot, and canter. Here’s a closer look at the most popular gaited breeds! Icelandic horses are sure-footed and sturdy. They tölt and pace in addition to walking, trotting, and cantering. Both gaits are comfortable for the rider and carry a full-grown person quite briskly over rough terrain. They are resistant to the cold and harsh conditions and are long-lived and hardy. Traditionally, Icelandic horses are not ridden until they are four or five years old. The breed itself is about 400 years old. There are Icelandic breeders in Europe and the Americas, and it is possible to buy an Icelandic from breeders in Iceland. 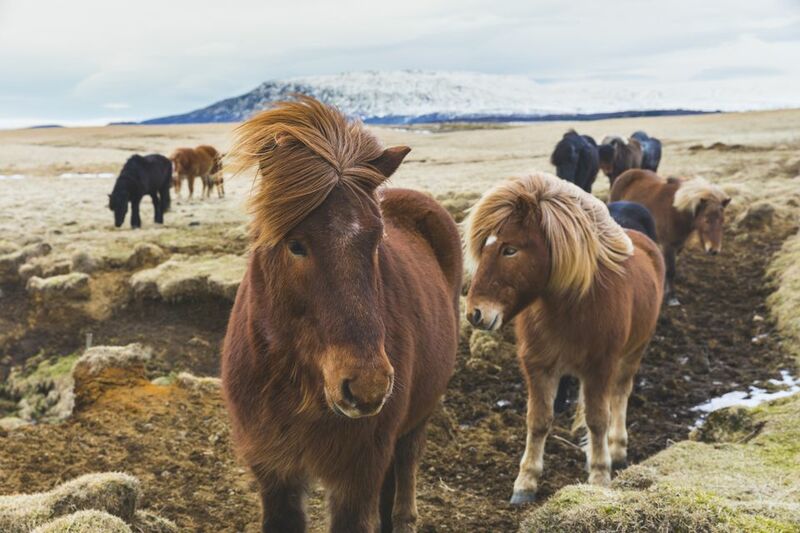 Once an Icelandic Horse leaves Iceland, it cannot return in order to prevent the introduction of diseases from other places. Due to this isolation, Icelandics are one of the purest breeds in the world. They are used for pleasure riding, racing, and some are kept for meat production. The American Saddlebred is perhaps one of the most popular gaited breeds and a very popular breed overall. They may be three-gaited or have five distinct gaits including a slow gait and a rack. They are prized for their smooth gaits and flashiness. The average is between 15 and 16 hands high. Overall, they appear lean and elegant, with a well set neck and high tail carriage. These beautiful horses are often used in parades. Starting in the early 1700s horse breeders developed horses that were suitable for driving and riding with smooth gaits. In their pedigrees, Saddlebreds have Thoroughbreds, the extinct Narragansett Pacer and Canadian Pacers, Morgans, and Hackney Horses. The Paso Fino is "The Paso" from the area of Puerto Rico and Colombia, and later Cuba and other Caribbean countries. They are small but sturdy, and their physical appearance harkens back to their Andalusian forbearers. These small, agile horses were developed to carry their riders over the rugged terrain of their island and coastal homes. The Peruvian Paso has been declared a Cultural Heritage breed by the National Institute of Culture of Peru. Peru’s national horse has many fans. It is well known for its elegant carriage and smooth gaits. The American Standardbred is most often regarded as a track star and seen in harness but they make great riding horses, too. Some are bred as trotting horses, but many still do single-foot or what some call a running walk. The Kentucky Mountain Saddle Horse is somewhat smaller than some of the other North American gaited breeds. They’re also equally comfortable in harness, even though they’re called a saddle horse. They are known to be sure-footed and quiet-tempered. The Tennessee Walking Horse is a North American Breed. These horses were developed to give their riders a smooth ride as they tended acres of farmland. Walkers, with their smooth gaits, are one of North America’s most popular breeds. Once you see a Marwari horse, you’re not likely to forget it. This leggy, elegant breed has sickle-shaped ears. It’s a relatively rare gaited breed, especially in North America. Dedicated breeders in India have done much to keep this unusual and ancient breed from disappearing, however. Some individuals within breeds that are commonly regarded as non-gaited will actually gait naturally. These include the Morgan, the Appaloosa, and—rarely—the Canadian.